It’s official! Spring is here! Our grass is green, our jasmine vines are blooming, and we even ate dinner outside last night. I love this time of the year so much that I like to bring spring indoors too. Our living room mantel is now overflowing with some of my favorite signs of the season – flowers blooming, butterflies fluttering, and birds singing! I had a ton of fun creating this mantel with crafts I made using supplies from Oriental Trading. 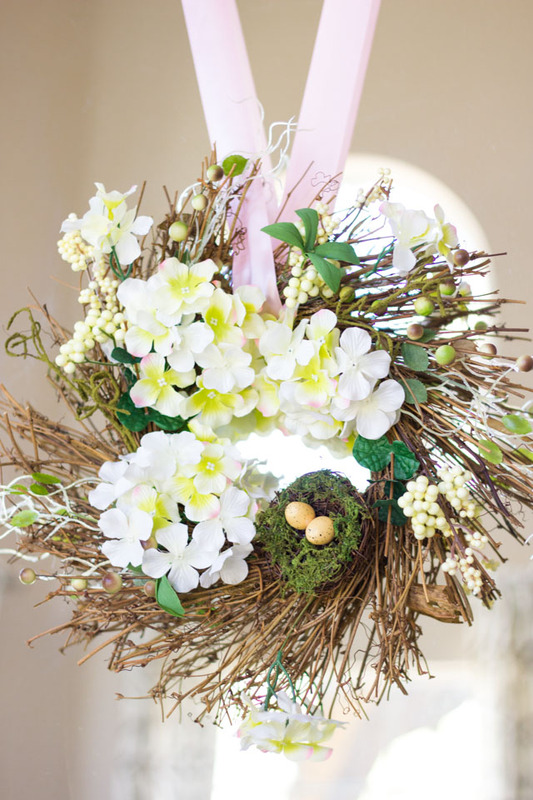 If it doesn’t quite feel like spring yet where you are, just create your own spring indoors! 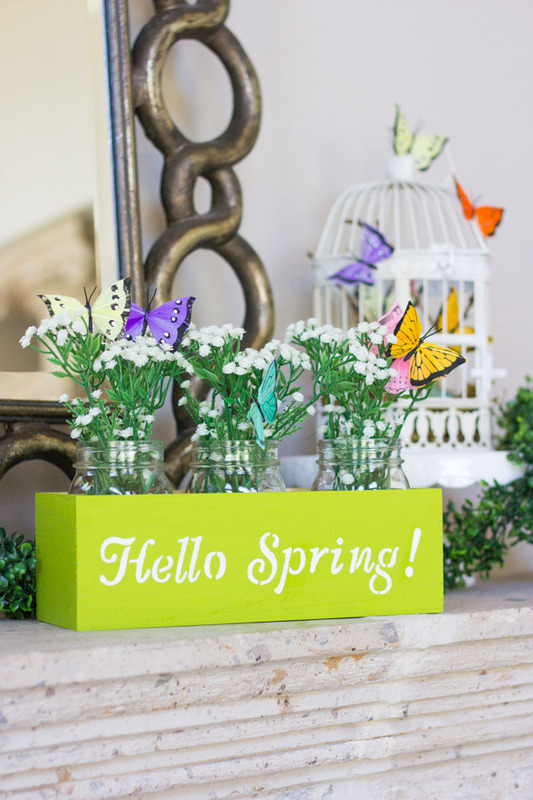 To create this “Hello Spring” centerpiece, I placed three mason jars into a wood planter box and filled them with faux baby’s breath and butterflies. I love these lifelike feather butterflies and used them last year to create these butterfly balloons! 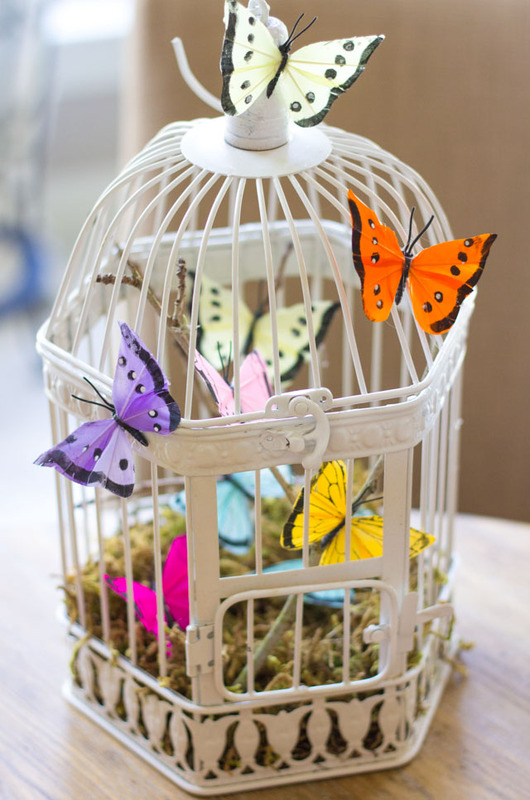 I also used the butterflies to decorate this pretty bird cage from Oriental Trading. 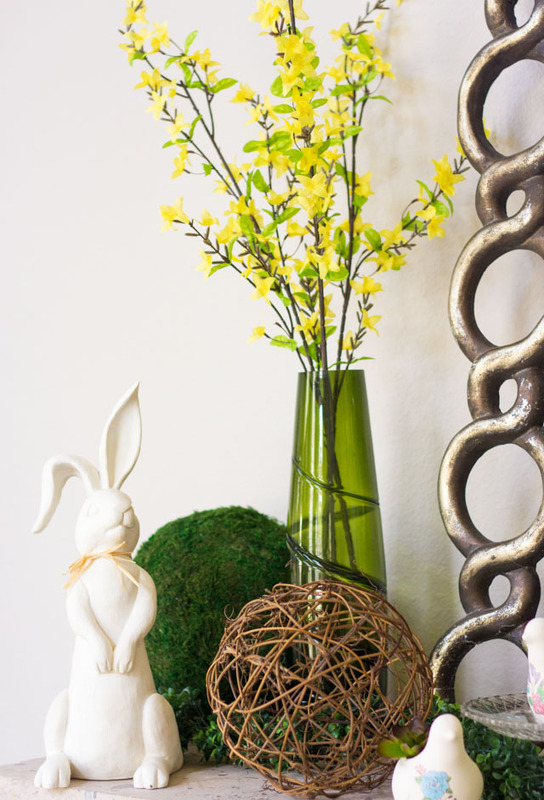 It’s a pretty piece of spring decor that you can make in under 10 minutes! 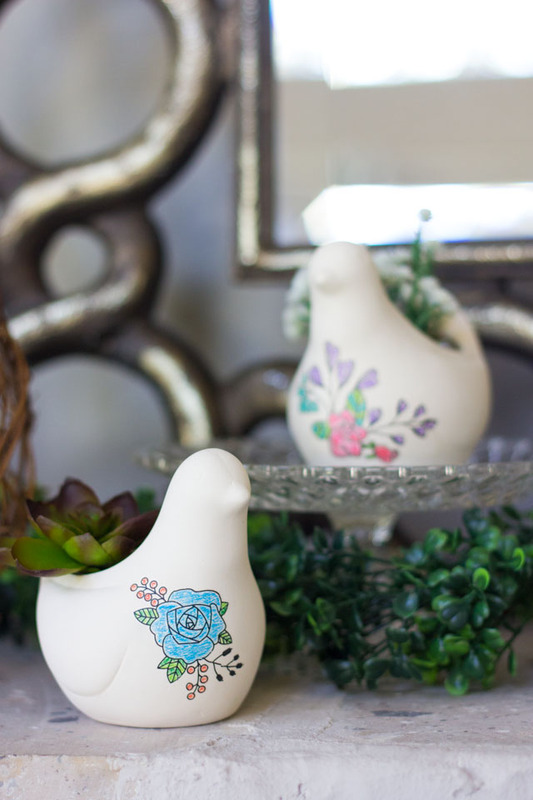 You’ll never guess what I used to decorate these ceramic bird vases. Check it out here! 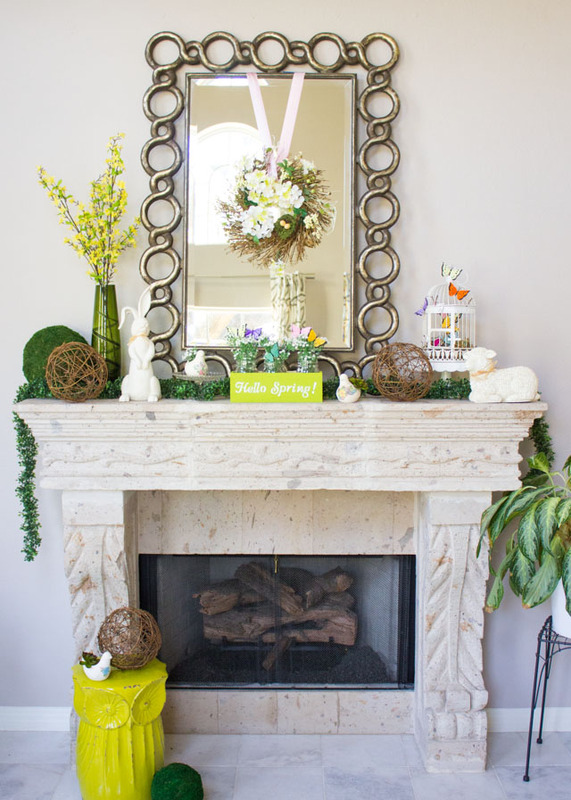 Other accents including flowering branches, moss balls, and this cute floppy ear bunny round out the nature filled spring mantel. 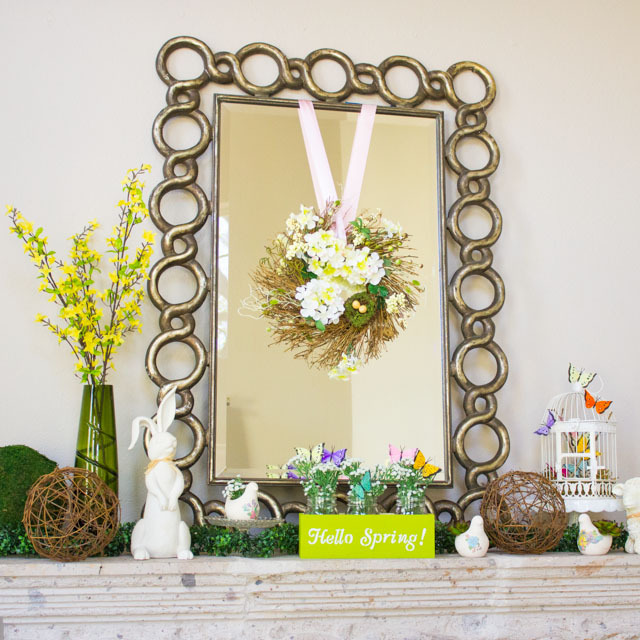 Head to Oriental Trading’s blog for a full list of supplies for my nature-filled spring mantel and step-by-step tutorials for the Hello Spring floral centerpiece, butterfly decorated bird cage, and floral bird vases.